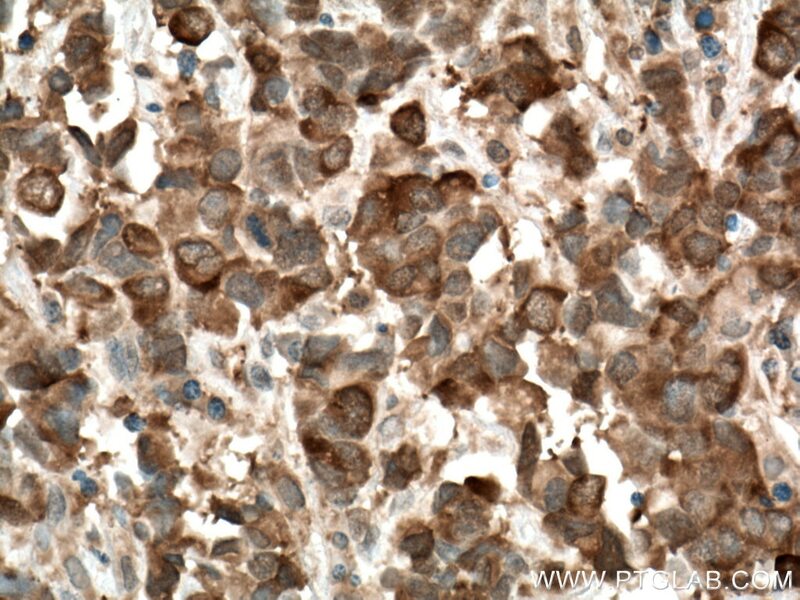 Immunohistochemical analysis of paraffin-embedded human prostate cancer tissue slide using 16643-1-AP (PPAR gamma antibody) at dilution of 1:200 (under 40x lens) heat mediated antigen retrieved with Tris-EDTA buffer(pH9). 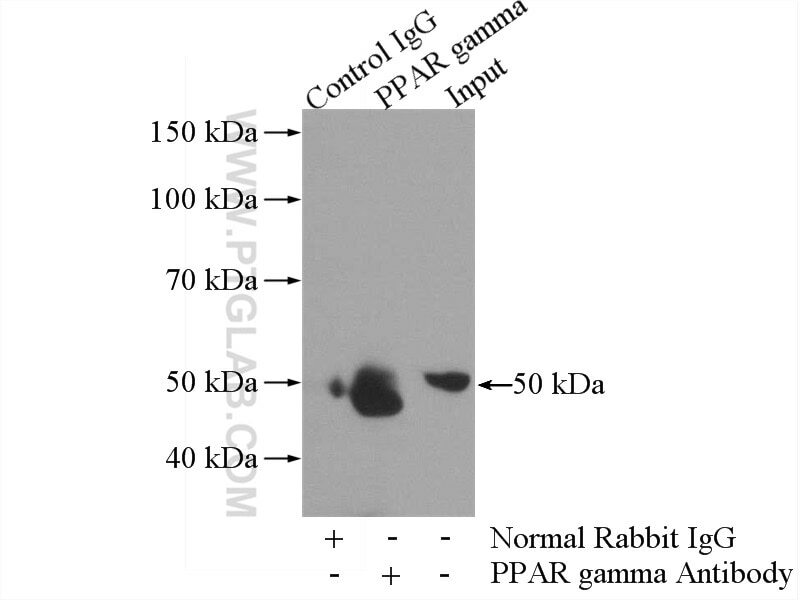 IP Result of anti-PPAR gamma (IP:16643-1-AP, 3ug; Detection:16643-1-AP 1:700) with HL-60 cells lysate 4000ug. Peroxisome Proliferator-Activated Receptors (PPARs) are ligand-activated intracellular transcription factors, members of the nuclear hormone receptor superfamily (NR), that includes estrogen, thyroid hormone receptors, retinoic acid, Vitamin D3 as well as retinoid X receptors (RXRs). The PPAR subfamily consists of three subtypes encoded by distinct genes denoted PPARα (NR1C1), PPARβ/δ (NR1C2) and PPARγ (NR1C3), which are activated by selective ligands. 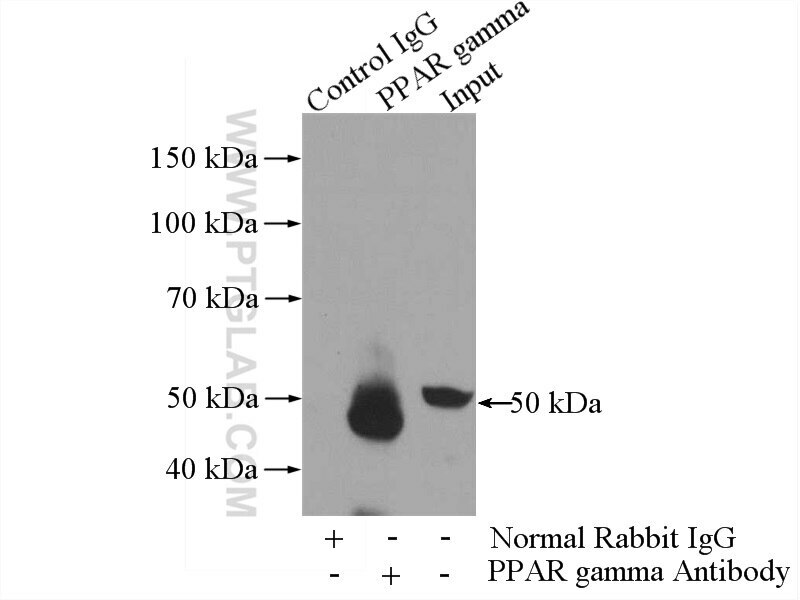 PPARγ, also named as PPARG, contains one nuclear receptor DNA-binding domain and is a receptor that binds peroxisome proliferators such as hypolipidemic drugs and fatty acids. It plays an important role in the regulation of lipid homeostasis, adipogenesis, insulin resistance, and development of various organs. Defects in PPARG are the cause of familial partial lipodystrophy type 3 (FPLD3) and may be associated with susceptibility to obesity. Defects in PPARG can lead to type 2 insulin-resistant diabetes and hypertension. PPARG mutations may be associated with colon cancer. Genetic variations in PPARG are associated with susceptibility to glioma type 1 (GLM1). PPARG has two isoforms with molecular weight 57 kDa and 54 kDa (PMID: 9831621), but modified PPARG is about 67 KDa (PMID: 16809887). PPARG2 is a splice variant and has an additional 30 amino acids at the N-terminus (PMID: 15689403). 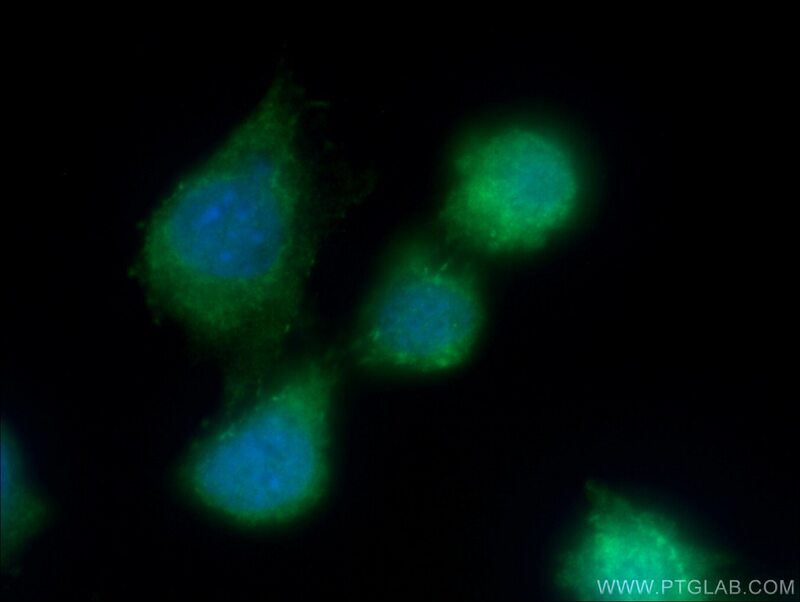 Experimental data indicate that a 45 kDa protein displaying three different sequences immunologically related to the nuclear receptor PPARG2 is located in mitochondria (mt-PPAR). However, the molecular weight of this protein is clearly less when compared to that of PPARG2 (57 kDa) (PMID: 10922459). PPARG has been reported to be localized mainly (but not always) in the nucleus. PPARG can also be detected in the cytoplasm and was reported to possess extra-nuclear/non-genomic actions (PMID: 17611413; 19432669; 14681322). Targeting EZH1 and EZH2 contributes to the suppression of fibrosis-associated genes by miR-214-3p in cardiac myofibroblasts. PPARγ maintains the metabolic heterogeneity and homeostasis of renal tubules. The novel ZIP4 regulation and its role in ovarian cancer. Egr-1 mediates leptin-induced PPARγ reduction and proliferation of pulmonary artery smooth muscle cells. Salusin-β Is Involved in Diabetes Mellitus-Induced Endothelial Dysfunction via Degradation of Peroxisome Proliferator-Activated Receptor Gamma. Network pharmacology-based strategy for predicting active ingredients and potential targets of Yangxinshi tablet for treating heart failure. 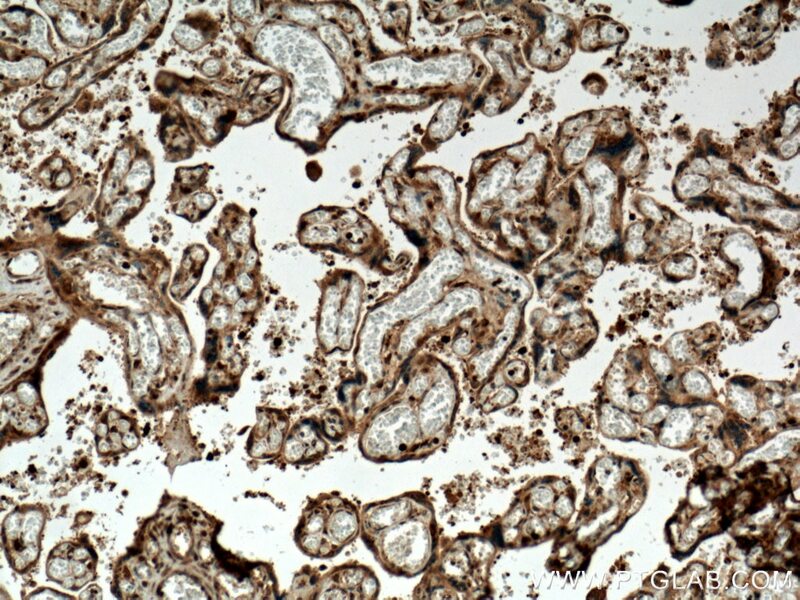 Immunohistochemical analysis of paraffin-embedded human placenta tissue slide using 16643-1-AP (PPAR gamma antibody) at dilution of 1:200 (under 10x lens) heat mediated antigen retrieved with Tris-EDTA buffer(pH9). 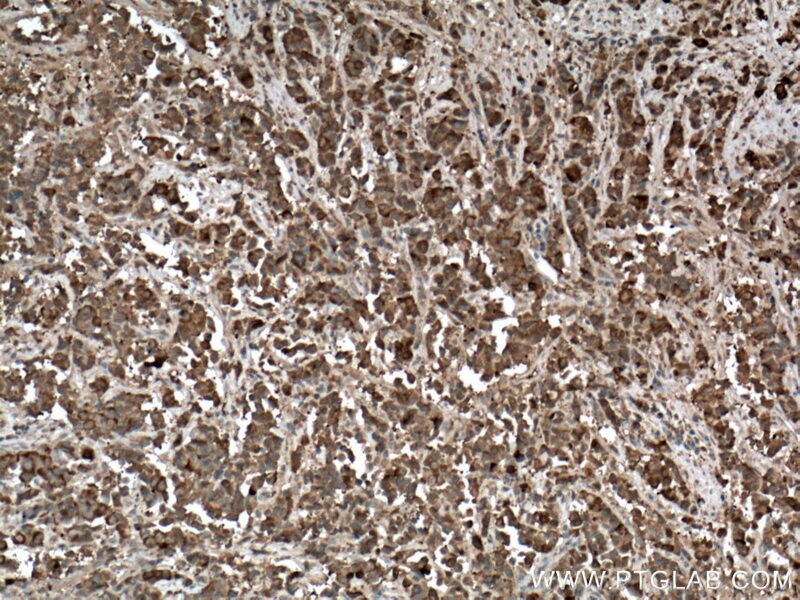 Immunohistochemical analysis of paraffin-embedded human placenta tissue slide using 16643-1-AP (PPAR gamma antibody) at dilution of 1:200 (under 40x lens) heat mediated antigen retrieved with Tris-EDTA buffer(pH9). 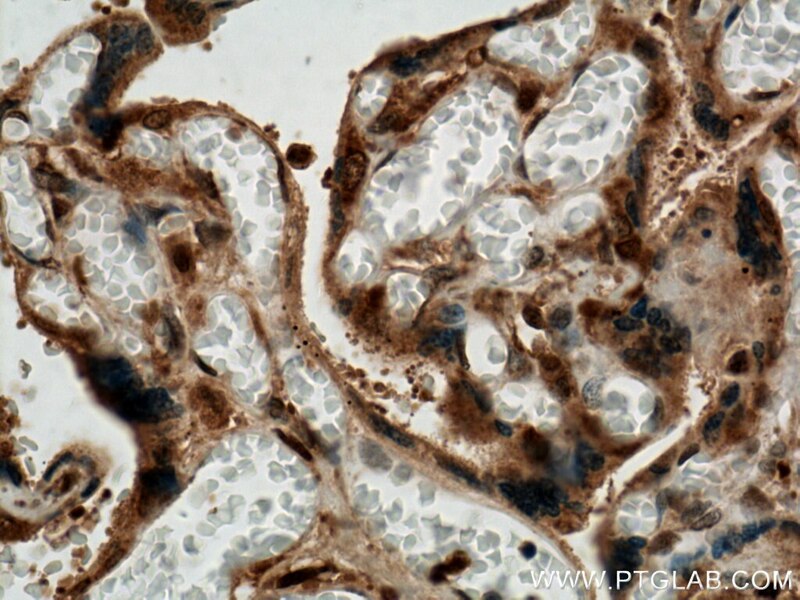 Immunohistochemical analysis of paraffin-embedded human prostate cancer tissue slide using 16643-1-AP (PPAR gamma antibody) at dilution of 1:200 (under 10x lens) heat mediated antigen retrieved with Tris-EDTA buffer(pH9).